Born in Liverpool and studied at the Chester School of Art and the RCA. He began work as a magazine illustrator. 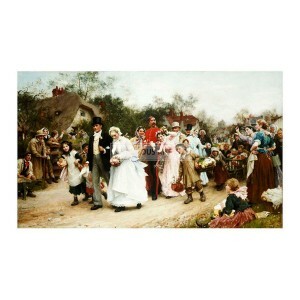 A trip to Venice in 1874 inspired idyllic depictions which became highly popular. Became associated with social realism in the 1870s but once he achieved success he changed to portraiture to maintain his lifestyle, at one point being among the most highly paid portrait painters in England. His subjects included King Edward VII and King George V. He was knighted in 1906.